Rep. Scalise is a fierce patriot and a true conservative. His many signature causes show him to be the real deal and arch-enemy of Deep State who was no friend of the RINOs in Congress. Not only is Scalise the highest ranking elected official from the Tea Party in the U.S. Congress, having attained the position of Majority Whip, he was also a no-nonsense kind of guy. You know how those real gutsy Italian-Americans can be when they latch onto a righteous cause. 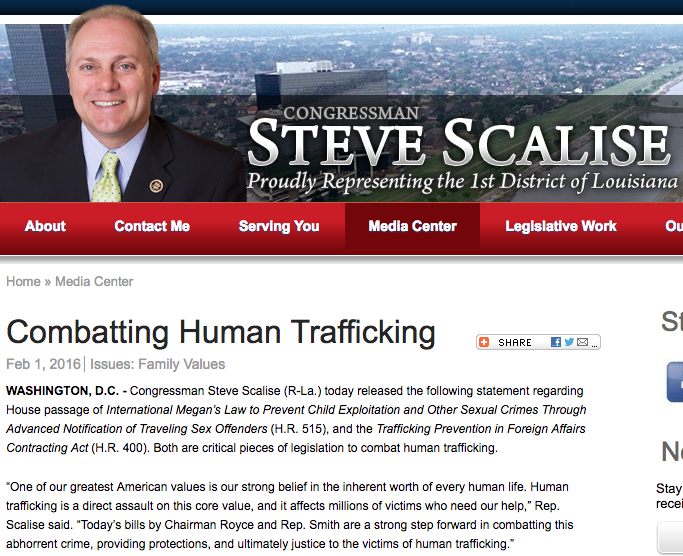 Well, the righteous cause that Steve has advocated against is human trafficking. The following video portrays just how strong his advocacy is in this regard. Which also happens to be the most radioactive issue throughout the USA in light of the Pizzagate scandal blowing wide open just before the election. Key Point: June 14, 1946 is Donald Trump’s birthday. He has a special kinship with Rep. Steve Scalise, especially because of their shared political agenda and patriotic orientation. Just like Kathy Griffin’s beheading video was used to send an extremely threatening message to the POTUS, so was this ‘birthday present’ sent by Deep State—mafia style. Steve was shot playing ball on Wednesday, June 14th. 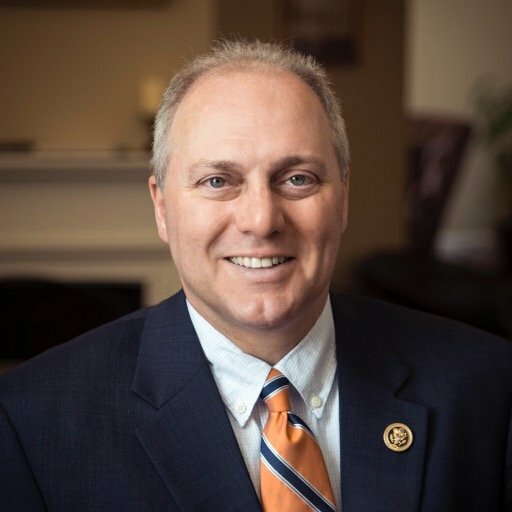 Truly, Steve Scalise is one of those very few elected representatives at the federal level who profoundly deserves our prayers and blessings, love and support. Unfortunately, the conclusion of this ongoing Second American Revolution has no end in sight. The last conservative Italian-American VIP who was taken out by Deep State went by the name of Antonin Scalia—an extraordinarily passionate U.S. Supreme Court Justice. Now they make a cowardly attempt on the life of another beloved Italian-American—U.S. Representative Steve Scalise. How does that happen within such a short span of time. Both men were well-known for their exceptional courage and intestinal fortitude. However, it was the fact that they each served as lightning rods for a huge swath of the body politic that made them so dangerous. In their own respective realms, they both functioned as political philosopher-kings. One is now gone, although his Constitutional spirit remains; the second is barely with US. TPTB have seen to it that so many of our brightest lights are snuffed out when they are at peak brilliance. Deep State has always been more fearful of men and women like these than any others. Let us pray — fervently — that Steve will remain with us to finish his great work and noble mission of restoring the American constitutional republic.